I love the changing seasons. I like hiking and biking in the summer, and skiing in the winter. I like the fresh newness of spring, and the crisp nostalgia of fall. When asked for my favourite season, I have a hard time answering. I wouldn’t want any season endlessly, like a Narnian winter. Each season changes just as we tire of it, giving us something to look forward to with the next season. Similarly, the Catholic Church also has seasons—times of celebration and times of fasting, times of singing and times of silence. These seasons of the liturgical year help us to live out our faith around the year. Yet in today’s world, we’ve lost a sense of these seasons. We rush from one celebration to another. Christmas decorations appear in stores before Halloween has even finished, and those decorations come down on Boxing Day so that we can rush into New Year’s. Around the Year with the von Trapp Family is about appreciating each of the seasons of the Catholic Church. Maria von Trapp, of Sound of Music fame, shares how her family celebrates the liturgical year within their home. In this beautiful hardcover book, Maria offers the songs, recipes, and traditions that have helped her family grow and flourish in their faith, thanks to the seasonal rhythms of the Church. I received this book for review courtesy of Sophia Institute Press. This post contains affiliate links; as an Amazon associate, I earn from qualifying purchases. In her Introduction, Maria talks about transplanting her family from Austria to America during World War II (fictionalized in the Sound of Music). She compares their seasonal liturgical traditions to the firmly embedded roots of a mighty tree. Their faith traditions became a grounding force that helped their family flourish in the new world and provide shade and shelter to those around them as well. Around the Year with the von Trapp Family covers the major liturgical seasons: Advent, Christmas, Carnival, Lent, Passiontide, Paschaltide, and the Green Meadow. Maria includes recipes and songs for each season—special food and special music to mark the feasts and fasts of the Church. 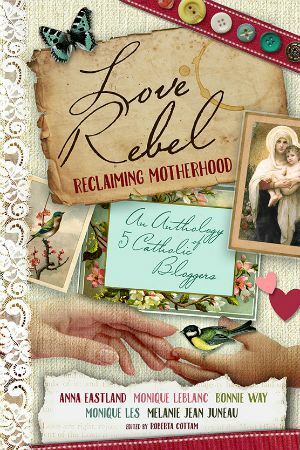 She also shares ideas for celebrating other feasts within the family, including birthdays, First Confession and First Communion, anniversaries, and more. Currently, we’re in the season of Carnival. I hadn’t really thought of this as a “season” of the Church—it seemed to be simply a “between” time, as Christmas is done and Lent not yet started. We are used to the high points of the liturgical year (Christmas and Easter) and even the penitential seasons (Advent and Lent) that precede them, yet the rest of the year also has traditions and meaning. Carnival is a time for family and friends, Maria says. She recommends folk dancing, family games and singing during this time. In our busy lives today, we rush through many of these seasons, but also through the week. Sundays are becoming harder and harder to keep as a day of rest of and family. Maria dedicates an entire chapter to Sundays. She talks of Russia’s experiment with throwing away Sundays and attempting to randomly designate a “day off” each week. She shares the history of Sunday, from the early Church to the Middle Ages to the present. And she talks about her own family experience with Sunday. She calls Catholics once again to honour and respect Sundays as the day of the Lord. 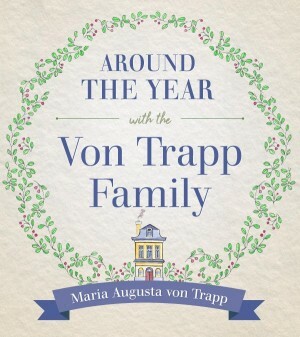 Around the Year with the von Trapp Family is a beautiful, hardcover book. The pages are glossy, the words accompanied by beautiful drawings that illustrate or add to Maria’s ideas. The Table of Contents is followed by a list of Songs and a list of Recipes in the book, for easy reference. 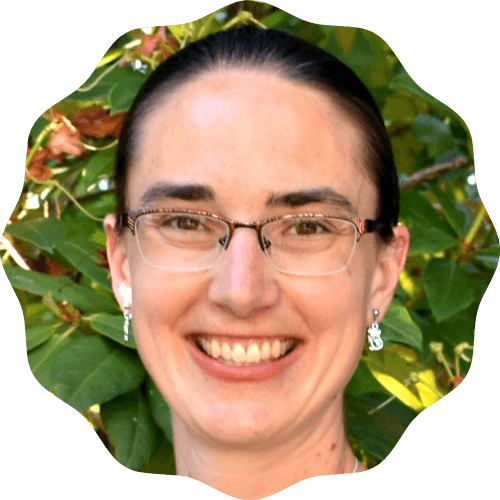 Maria’s writing is humble and honest, yet also fervent and faithful. Around the Year with the von Trapp Family is a call to renewal, a call to holiness within our families. Through their concert tours around the world, Maria has a unique perspective on Church traditions, in North America and elsewhere. She and her family experienced liturgical traditions in Austria (a traditionally Catholic country before the Nazis), in secular North America, and in hundreds of other countries. She shares how they held onto their traditions even when on the road, and how what they saw affected their own faith practices. I could say more about this wonderful book, but I really think you should just buy a copy for yourself. Yes, Around the Year with the von Trapp Family starts with Advent, but it’s never too late to start new family traditions. Jump into the book wherever you are in the year, and celebrate the highs and lows of the upcoming year together.